We love this, as our partners over at the FVPA are recovering from their recent website hacking, check out this new show brought to you by Jimmy Right as he introduces the FVPA News Desk Pilot 2012 and all that is going on! The Question is….where are you going to play??? 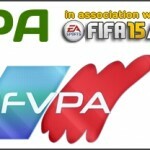 Surely its got to be with our partners over at the FVPA!